GOES-R is a geostationary weather satellite, meaning that it will continually hover over one spot over the equator as the earth rotates below. That point, yet to be determined, will be 22,240 miles above the Earth's surface. The National Oceanic and Atmospheric Administration's geostationary satellites are assigned letters sequentially prior to launch, then are renamed with a number once in orbit. GOES-R will become GOES-16 once it is in orbit. Additional satellites of the same series (GOES-S, -T, and -U) will be launched in the coming few years and become GOES-17, -18, and -19. Why do we not know where exactly it will be positioned once in orbit? NOAA maintains a suite of three satellites that monitor the western hemisphere, with particular emphasis on North America and the United States. These include GOES-East (technically GOES-13), which monitors the eastern U.S. and western Atlantic; GOES-West (a.k.a. GOES-15), which keeps watch over the western U.S. and eastern Pacific; and an on-orbit spare (GOES-14) that can be utilized if a problem develops with a primary satellite and is used to provide additional scans of South America. So why is GOES-R a game-changer? The GOES-R Series (GOES-R, S, T and U - the next 4 satellites to launch) represents the first major technological advancement in geostationary observations since 1994. The satellites will carry a suite of instruments to improve monitoring of both near-Earth and space weather. As compared to the current GOES satellites, the GOES-R imager (basically the satellite's camera that takes pictures of Earth) will scan five times faster with four times the image resolution (providing much greater clarity of the imagery) and three times the number of channels (16 different "visualizasations" of the Earth as opposed to the current five). GOES-R can provide images as frequently as every 30-60 seconds over severe weather events and scan the entire Western Hemisphere at a much-higher resolution than we get right now, and do it in just 5 minutes! Lockheed Martin, the builder of GOES-R, said that the satellite will transmit more data in the first six months of operation than was provided in the 45 year history of all previous GOES weather satellites! What else will GOES-R do? Besides seeing clouds from space in multiple channels, GOES-R will also produce products that can estimate rainfall rates (which is particularly useful in mountainous or low-population regions where radar and rain gauges are not as reliable), estimate hurricane intensity, determine whether clouds are made of ice or liquid water (which is important in the aviation industry), detect aerosols that lead to poor air quality, track volcanic ash (also a major hazard to aviation and currently not well-detected), and pick out forest fires and determine snow cover more accurately. 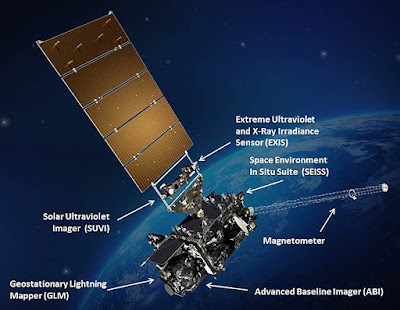 In addition, GOES-R will carry the first operational lightning detector (the GLM, or geostationary lightning mapper) flown in geostationary orbit which will measure both in-cloud and cloud-to-ground lightning, rather than relying on ground-based sensors. Used in combination with radar, other satellite data, and surface observations, lightning information from GOES-R has great potential to increase prepartion time ahead of severe thunderstorms and tornadoes as "jumps" in total lightning often precede a garden-variety thunderstorm's transition to a severe storm. 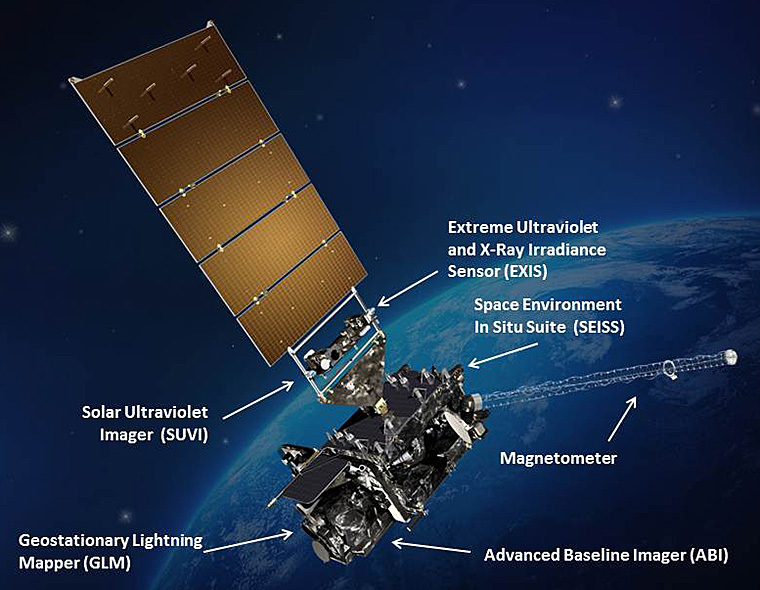 GOES-R will also host a suite of instruments to significantly improve detection of approaching space weather hazards. The satellites will provide advanced imaging of the sun and detection of solar eruptions for earlier warning of disruption to ground-based power utilities, communication, and navigation systems. For meteorologists to utilize the new imagery, not only will advanced training be required to understand and properly use all of the new products, but ground systems to ingest the gargantuan amount of data that will be transmitted from the satellite is a significant challenge. The pipes will get full quickly! That's why, at least initially, only certain entities like NOAA and the National Weather Service and some research institutions will get all of the available data from GOES-R. The rest of us will likely not see EVERY image that the satellite beams down, but we'll still have access to much more data, at a much higher resolution, than ever before. 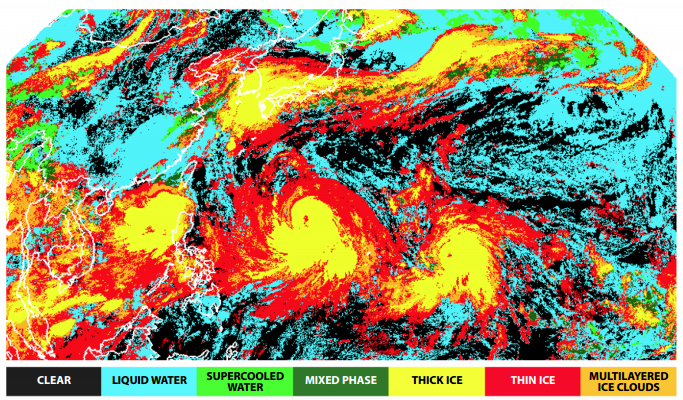 As you can see, GOES-R really is a game-changer for the weather enterprise. It has been said that this leap forward in satellite technology will be like going from black and white TV to HD in one fell swoop. I can tell you that there hasn't been this much excitement in the weather community probably since Doppler radar first came on the scene 25-30 years ago! 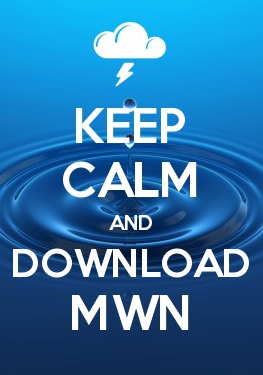 Reference material provided by NOAA/NASA at www.goes-r.gov. Visit the link for much more information on GOES-R.